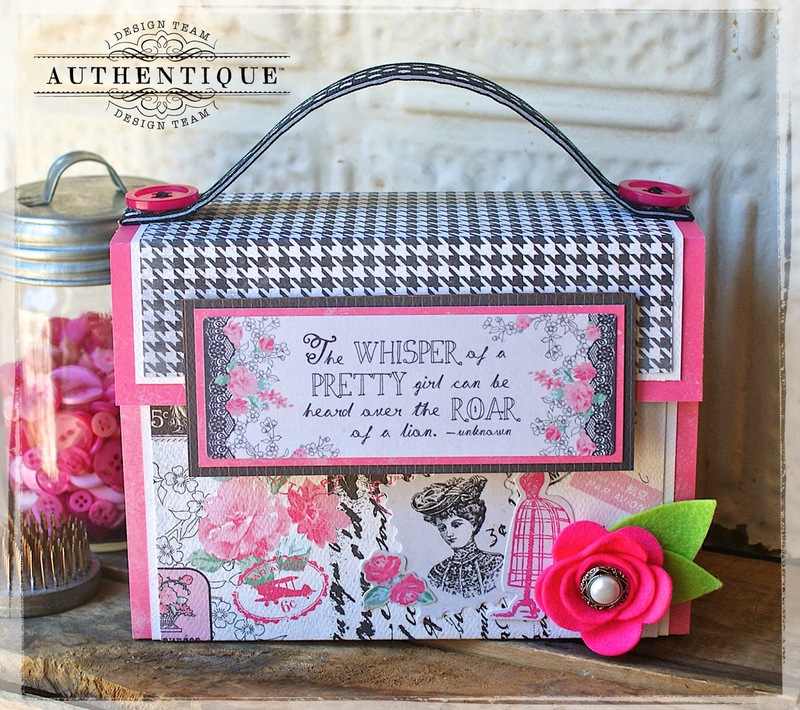 Hey everyone, it's Hilary here today with a fun tutorial for you, using the newest collection released by Authentique Paper called, "Classique: Pretty". I decided I wanted to create a "Pretty" Accordion File, that could easily store favorite photos, recipes, receipts, or even coupons. 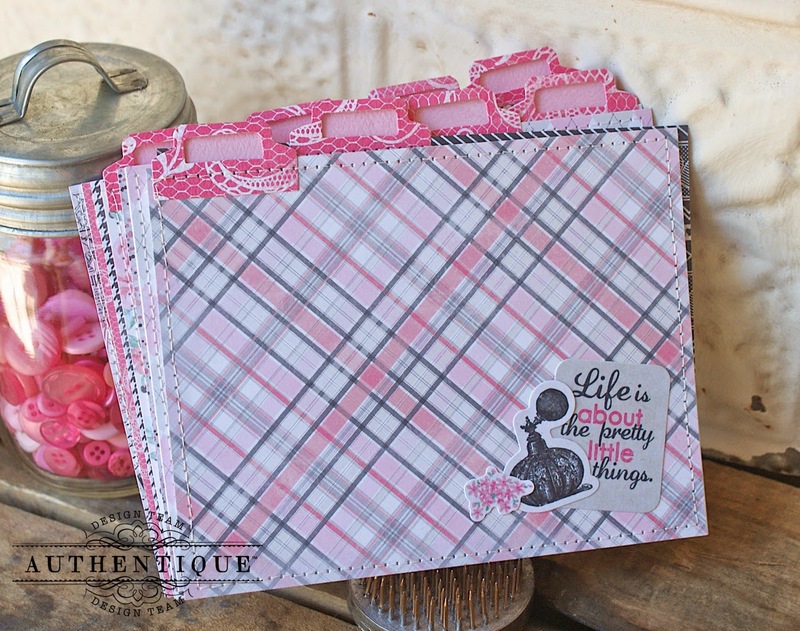 I love the pinks and blacks color scheme of this collection and it can be used for so many different projects. 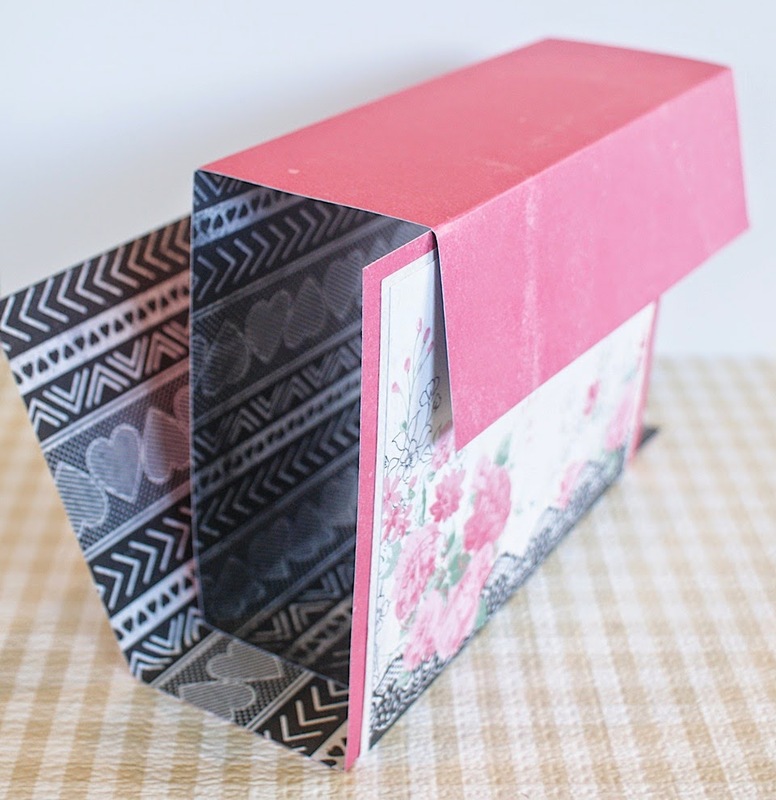 Below, I'll show you how I created this file folder. I hope you enjoy! I added fun stickers, and a felt flower to the file folder, and it's held closed with a magnet. 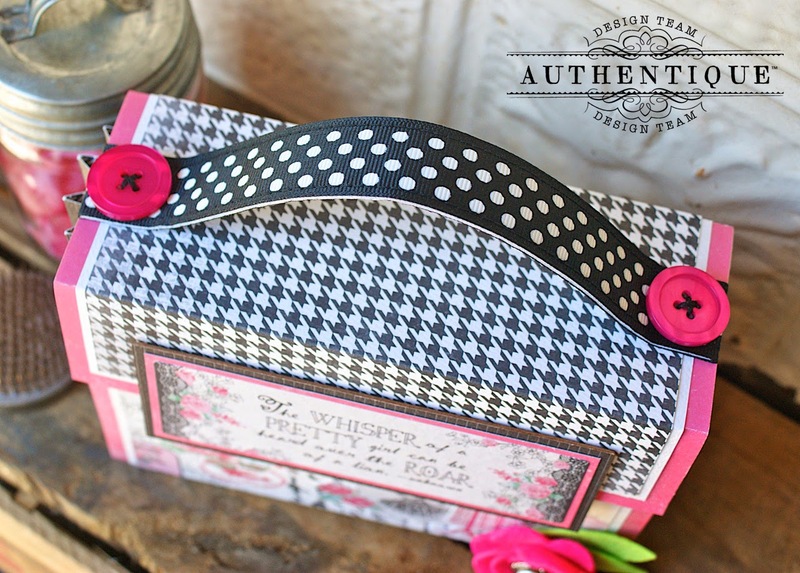 For the top of the file folder, I added a length of black polka-dot ribbon that was stitched to a piece of "Phoomph", which adds weight and thickness by way of bonding sheets. This inside of the file folder contains little index cards, complete with little tabs. You can also see part of the magnet, that keeps this file folder nicely closed. Each index card measures 4 1/2" x 5 3/4" inches, and I lightly embellished each index card with stickers. I wanted to add a bit of texture to my file folder, so I die cut a flower from felt and adhered it to the corner of the file folder. 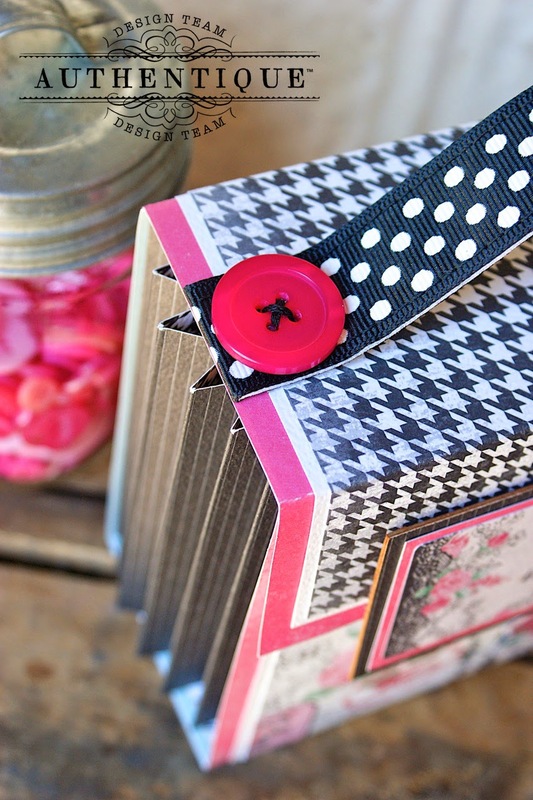 I also added bright pink buttons tied with black floss to the corners of the edges of the ribbon. Okay, lets get started on creating a file folder. A lot of the directions here are cutting and scoring, so please bear with me as I explain the best that I can. 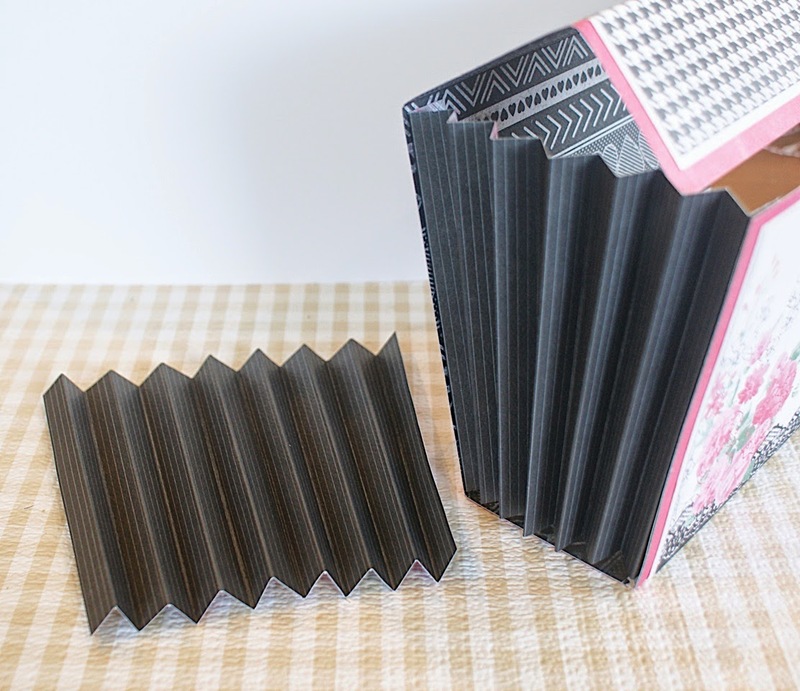 For the "top" of your accordion folder, cut a piece of dark pink pattern paper 7x12 and score at 2", then another 2 1/2" in from the first, then finally another 5 inches from the second score. 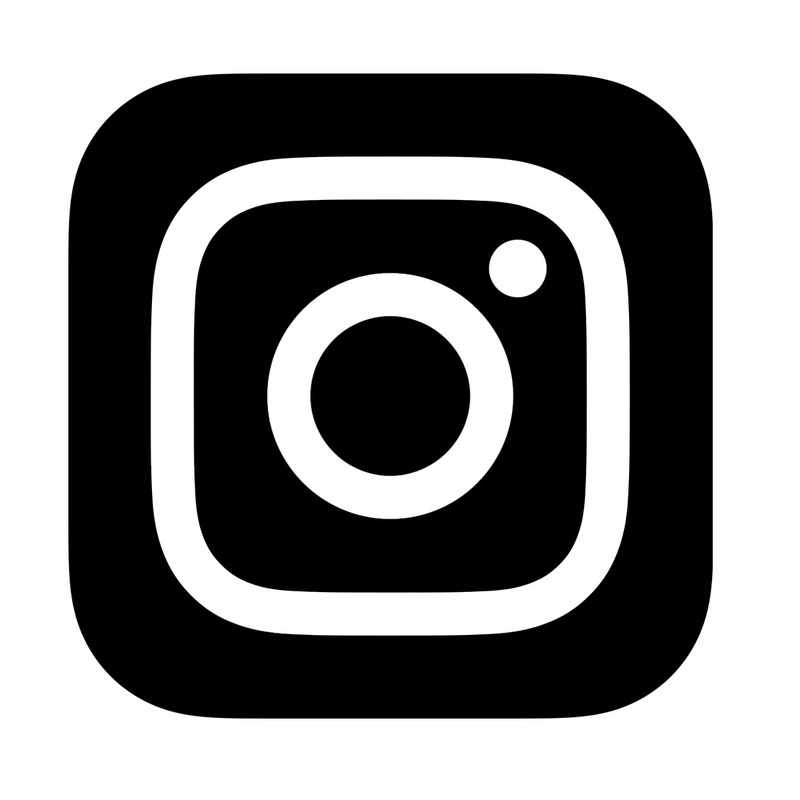 It should look like the photo above. 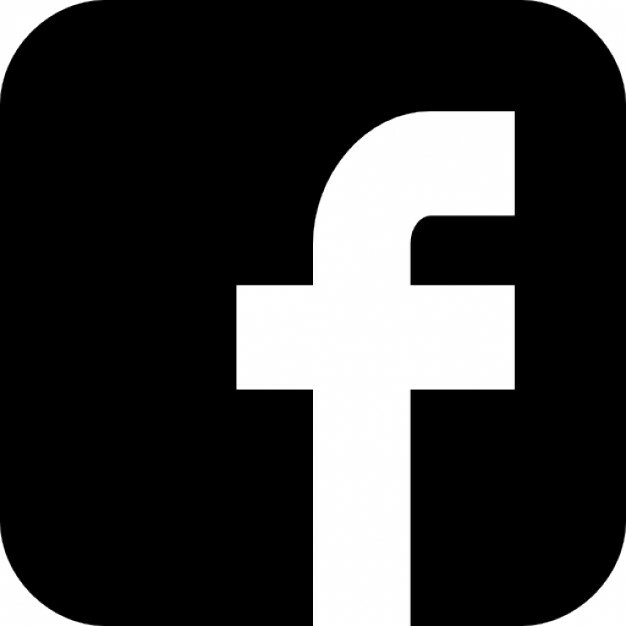 For the bottom of the file folder, cut dark pink paper, 7"x11", and score at 5" inches, then flip paper over to the other side and score in 4 1/2" inches. It should look like the photo above. 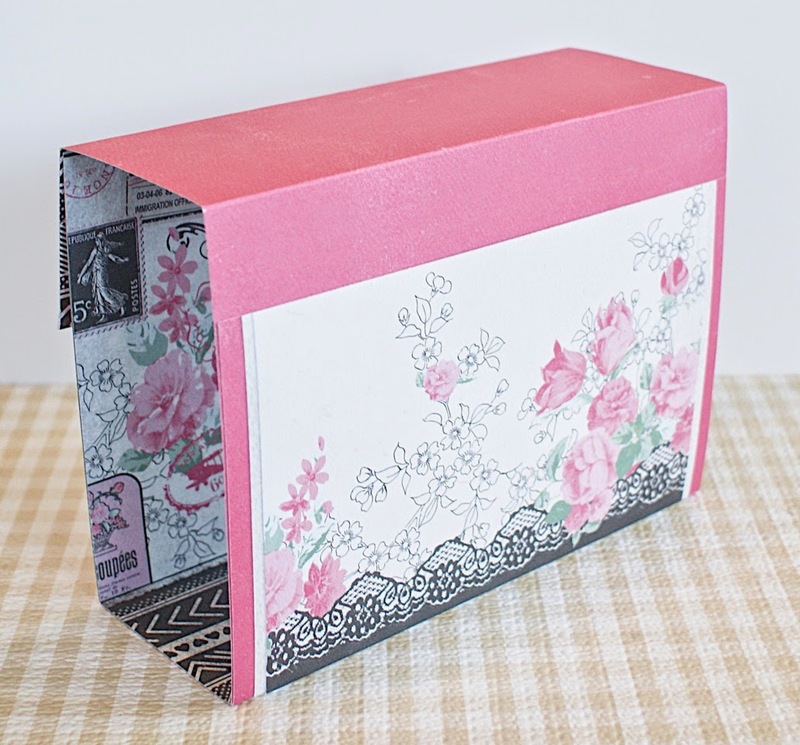 For the next two layers, cut pattern papers, slightly smaller, fitting them around the pink cardstock, scoring where you need to, then adhering them together. The "taller" side, will actually be the front of the file folder. Once you have to above steps completed, the top and bottom of the file folder, should fit together like the above photo. You will then adhere both the sections together. Here's what the back looks like at this time. 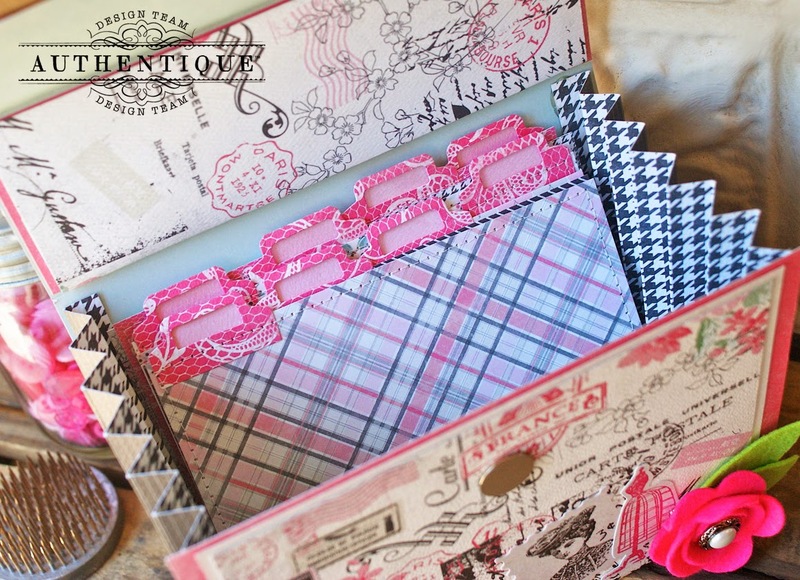 To finish the top of the box, cut white pattern paper and black houndstooth paper slightly smaller than the pink paper, and fold and crease where you need to, then adhere them to the top of the box and around to the back, stopping at the middle. 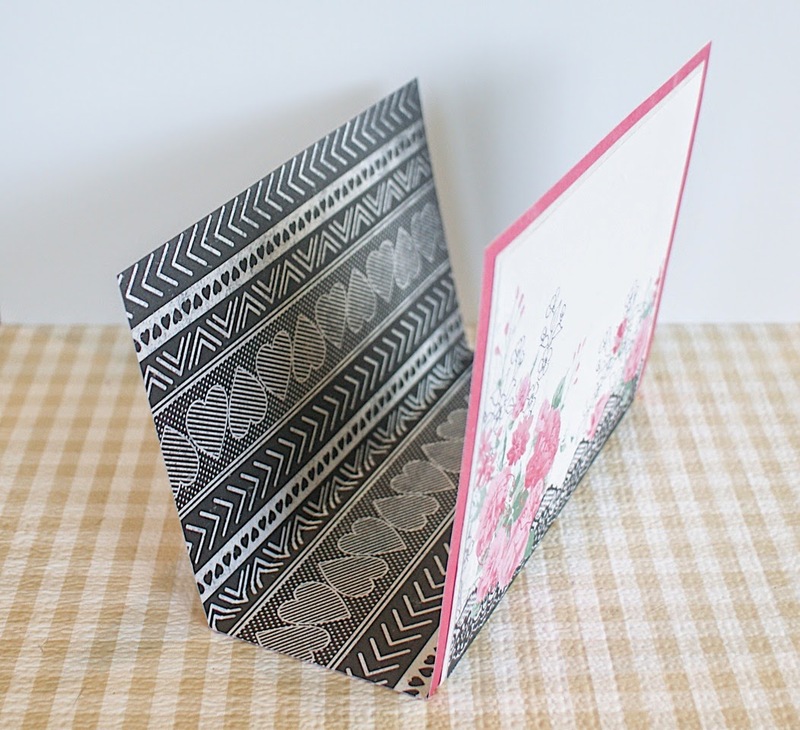 For the fun accordion fold's, cut a piece of black pattern paper, 4 7/8" x 6 1/2" and score every 1/2" inch to the end. 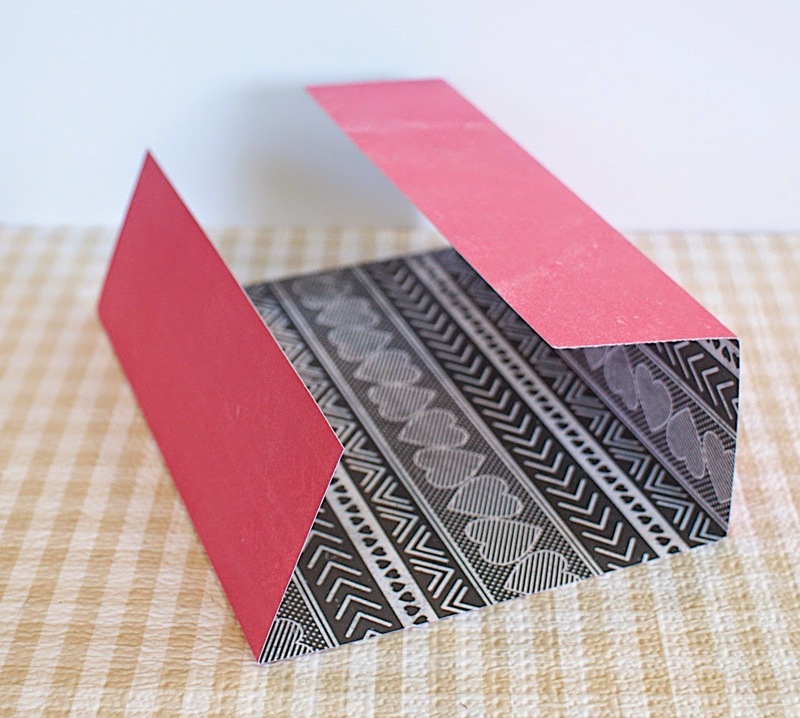 Adhere the ends to the inside of the file folder using a bead of hot glue. And that's it! I then added stickers to the front, along with the title, (I adhered the title to layers of pattern paper and then onto chipboard for added strength. Thank you so much for stopping by today! 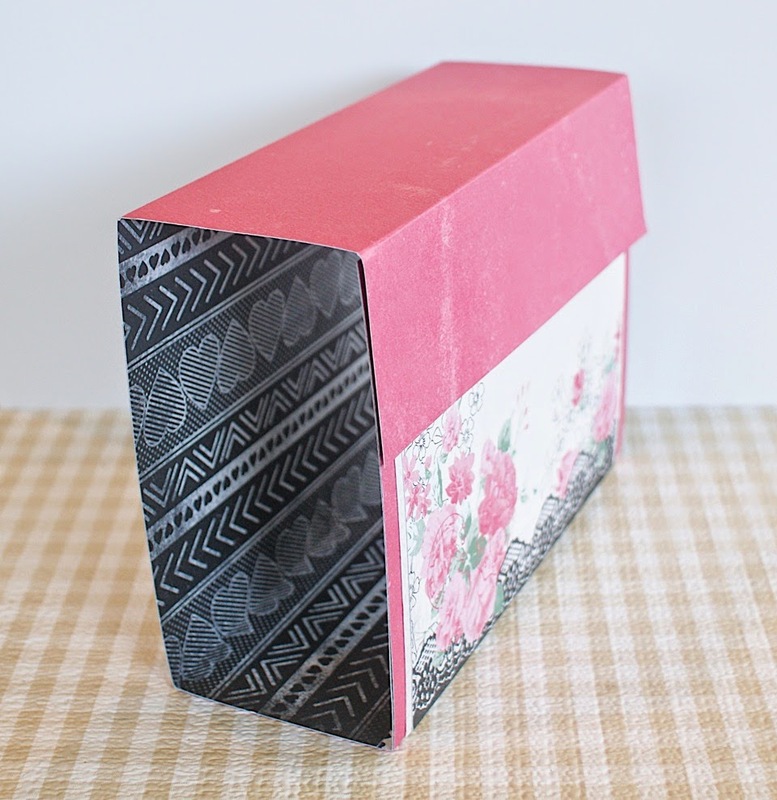 I hope you enjoyed my project, and I hope this inspires you to create an accordion folder of your own. 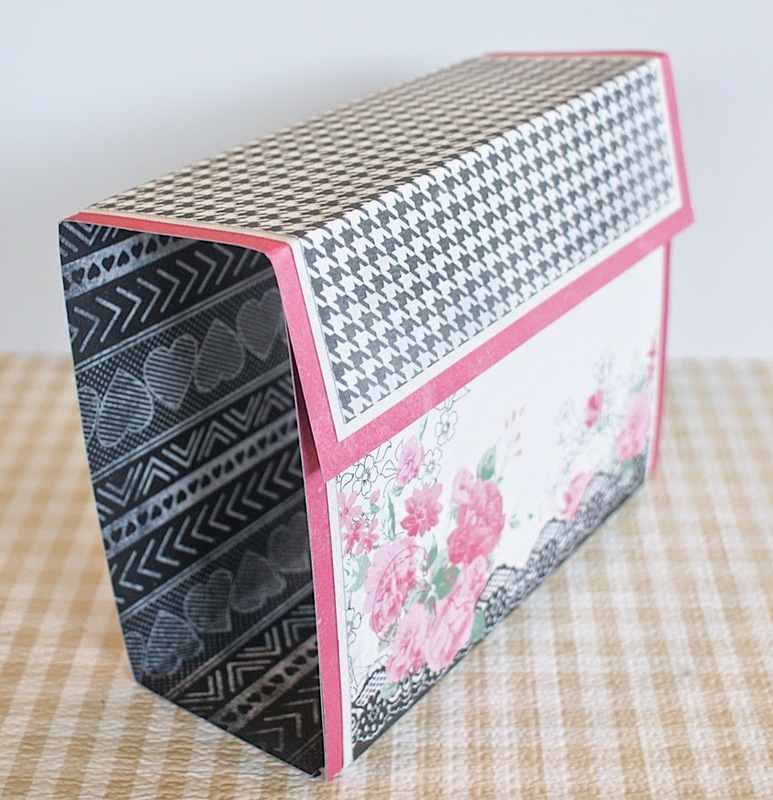 What a very pretty accordion file! 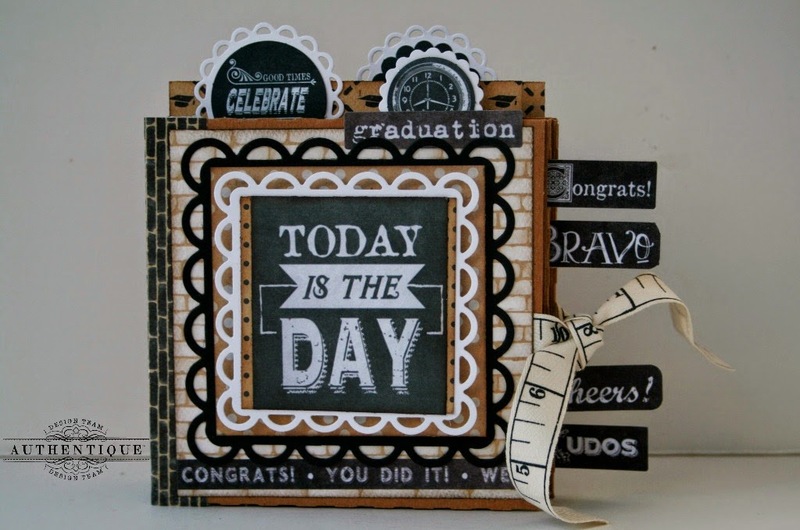 I really like the new papers, and how you went about creating it. 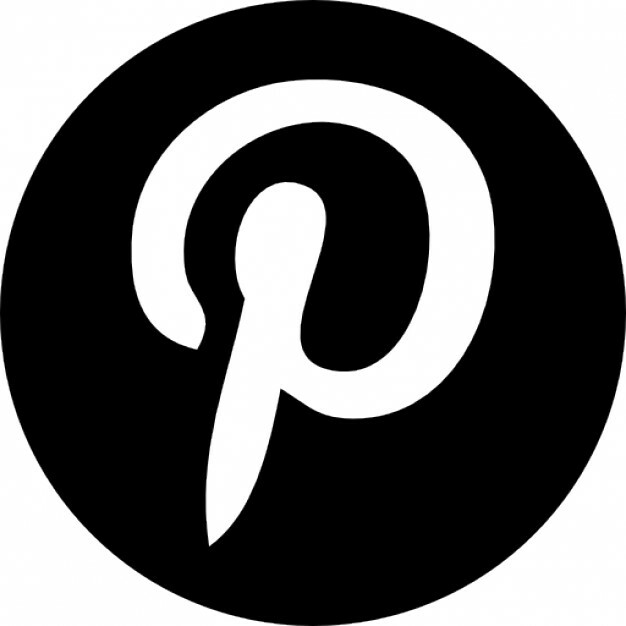 Thanks for sharing how you did it. Very, very good idea...and beautiful papers! 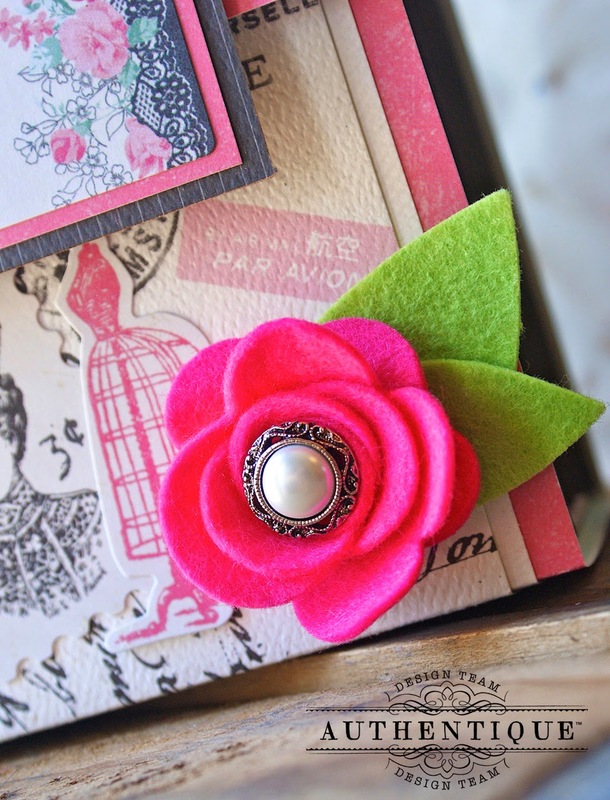 Wow this is so pretty great instruction I am so going to try this now off to buy this beautiful paper. Wow. That is so cool. I would love to try it. So cute. Definitely going to complete this. I love this!!! SO pretty!!! Of course with Authentique Papers you can't go wrong!! !